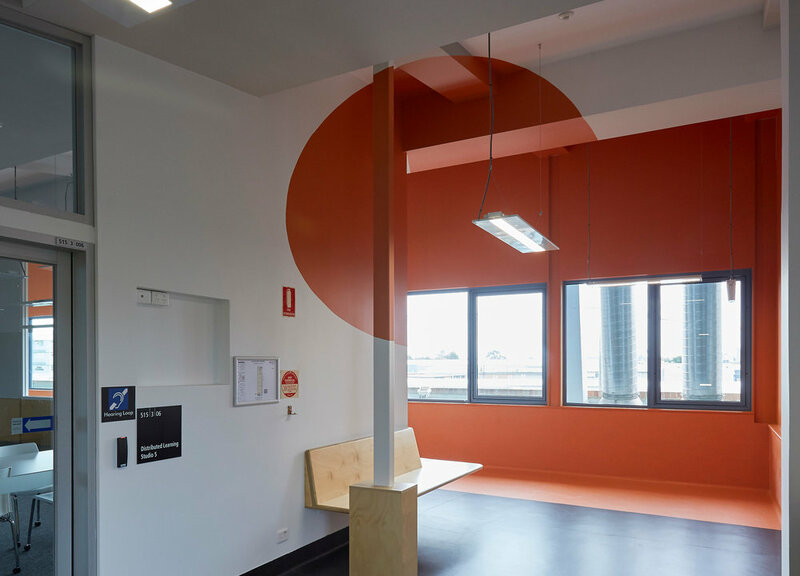 Paul Morgan Architects’ RMIT University, Distributed Learning Studios, Brunswick created five Distributed Learning Studios and a break-out space, enhancing staff/student connectivity and wayfinding, and catering for multiple user groups and design classes. New studios enhance staff/ student connectivity, catering for the requirements of multiple user groups. 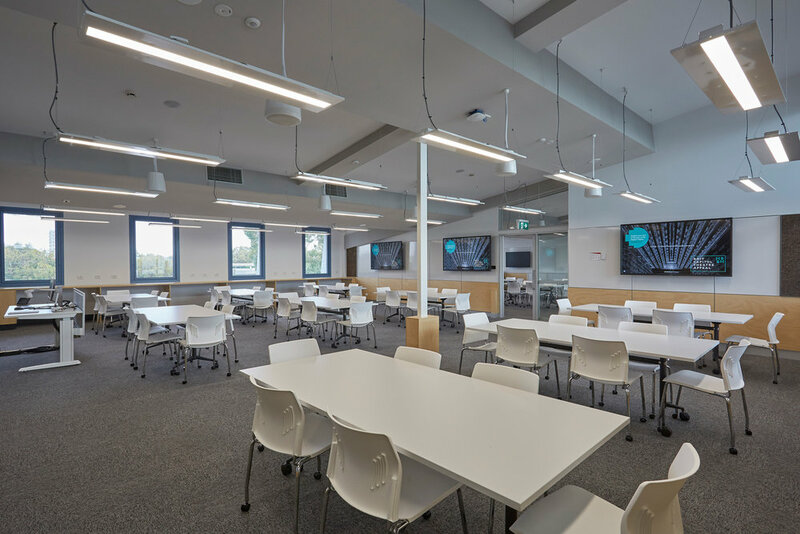 The Teaching Spaces Upgrade Project (TSUP) involved the creation of five Distributed Learning Studios and a break-out space. Studios are generally bookable and classes include Architectural Design (VET), Fashion and Textiles as well as Education. Utilising Building 515’s sloping roof, the ceilings of the new spaces follow the underside of the roof, creating high windows that take advantage of the natural daylight. A material palette of white and plywood hoop pine provides a neutral backdrop for design students. 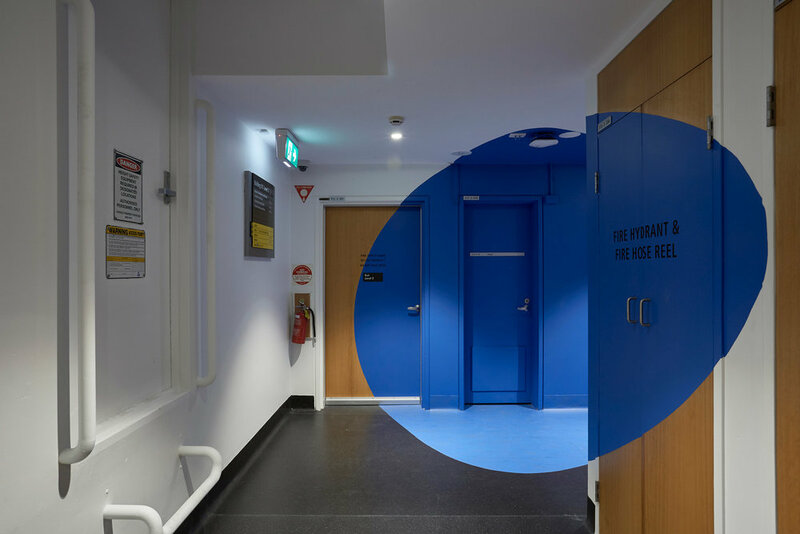 Zilka Studio collaborated with Paul Morgan Architects to design three circular anamorphic projections, inspired by Swiss artist Felice Varini, that assist in wayfinding for students.